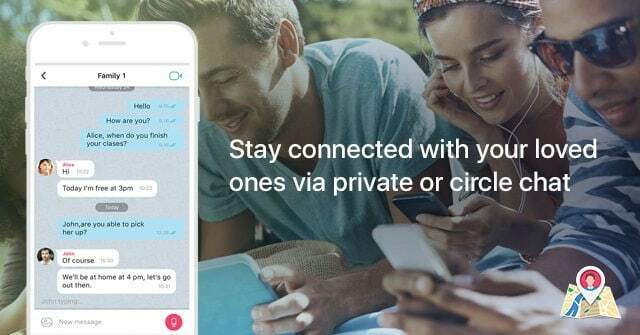 An App to keep your loved ones closer! With the advancement of technology, we are much more connected to each other than we were before. But when it comes to family, no matter how connected you feel to them, after a certain distance you start worrying about them. If you call and text them often to keep track then they might get annoyed. So, what to do in situations like this? Well, Fameelee, a Family Locator App comes as the save here. 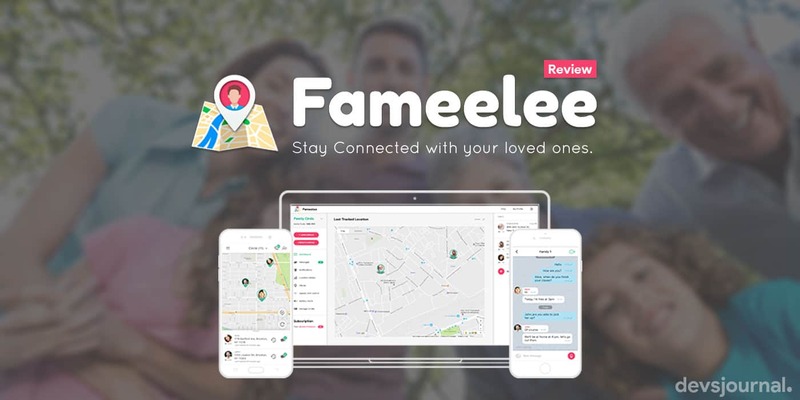 Fameelee is designed and developed to help you keep track of your family members. With the app, you can easily keep track of your family members no matter where they go. By keeping track of them, you can assure that they are safe and secure. In this review, we will have an in depth look into Fameelee App. We will discuss various aspects of the app as we follow through but let us start out with the features of the app. You will receive a notification whenever any of your family member exceeds the speed limit set by you. You will get notified whenever the battery life of your family member goes below 10%. With the app, you can schedule events and be sure that you do not miss any important events of your family members. You can know the real-time location of anyone in your app circle. The app is completely safe and secure and used by over 100,000 families around the world. You can instantly message anyone within your app circle. With the app, you can get notified whenever your child or family member reaches any destination such as school or college. You can chat with your family and friends in real time. Also, you can make a group chat to talk to everyone at once. With this family locator app, you can also add other people that are not your family. If anyone in your app circle is in emergency and needs help then you will be notified instantly with their real time location. The app consumes minimum battery to assure that your device’s battery doesn’t get drained. The app can be installed on both iOS devices and Android devices. These were the major and most noticeable features of Fameelee Family Locator app. In comparison to other so called Family locator apps, Fameelee seems much more feature rich and stable. Accurate realtime-location tracking up to 5 meters. Video call/video chat with anyone in your friend circle. No advertisements at all. If the ads in the free version annoy you, then it would be a good idea to opt for the paid version. Upto 30 days of location history of anyone you have added to your app circle. You can get the Fameelee Plus 7 day free trial to decide whether or not you want the paid version. As you can see, the paid version of Fameelee app offers more features in comparison to the free version. Let us now discuss the downloading and installing procedure for the app. Open Google Play Store on your device and type in the search term “Fameelee”. From the results that appear, click the right one named as “Fameelee Family Locator App”. Now, click on install and if a pop-up asking for permissions appears, simply tap on “accept”. If you are using an iOS device then follow the same procedure on the App Store. That’s all you have to do to install the Fameelee Family Locator App. Make sure to turn on the location of devices that you want to keep track of. Above we discussed the installation procedure of Fameelee Family Locator App. It was pretty simple, right? It is now time to have a look at the Pros and Cons of the application. 2. Track the real-time location of your family members or friends. To do so, simply add them to your app circle. 3. Fameelee Family Locator App consumes a small percentage of battery. You do not need to worry about your device’s battery life while using the app. 5. You can assure the safe of your friends and family with this app. 1. The only noticeable con is with the free version and the cons is that it comes with advertisements. You can get rid of the apps with the paid version of the application. 2. Fameelee Plus is on the expensive side at $20 per year. Overall, Fameelee is a great family locator app that provides accurate real time location of your loved ones. It offers many impressive features such as keeping track of the location, speed limit and destinations of your family or friends. The app is absolutely free to download and use. So, you shouldn’t hesitate before downloading and installing the app. There are a few other family locator apps in the app store but none can match up to the caliber of Fameelee. It is free, stable, easy to use and completely safe. If you have got a family that you care about then you shouldn’t risk their lives. Keep track of their location with Fameelee and assure that they are safe wherever they go.